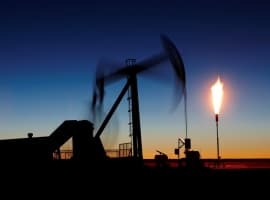 OPEC’s no.2 Iraq is currently producing 4.32 million bpd of oil, below the 4.351 million bpd ceiling it had pledged in the production cut deal, Iraq’s Oil Minister Jabbar Al-Luaibi said on Friday, in what is the first sign that one of the worst-compliant producers so far may have finally started to stick to its commitment—a couple of months after the original agreement was set to expire. Despite Iraq’s optimism, its central government doesn’t yet have the full picture of the oil exports of the Kurdistan Regional Government, Al-Luaibi said after meeting with Russia’s Energy Minister Alexander Novak in Moscow. 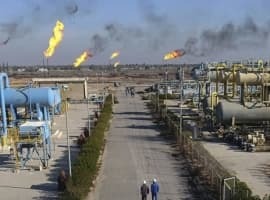 Iraq’s oil exports are up to 3.23 million bpd, Al-Luaibi told reporters, adding that Kurdish crude exports are at between 300,000 bpd and 350,000 bpd. According to data on tanker traffic compiled by Bloomberg, total exports from Kurdistan—including production of some fields in the region that are governed by the central government—averaged 581,000 bpd in August, up by 31,000 bpd over July and the highest since May. Iraq was the worst compliant producer in the first half of 2017, with output averaging 69,000 bpd over its quota between January and June, according to S&P Global Platts OPEC survey—which is one of OPEC’s secondary sources. 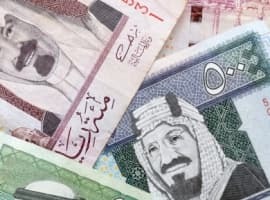 Concerned with slipping compliance, OPEC held a meeting with some of the producers in early August and cited its members Iraq and the UAE, as well as non-OPEC signatories to the deal Kazakhstan and Malaysia, as laggards in compliance. Referring to a possible extension of the cuts beyond the current end-date of March 2018, the Iraqi oil minister reiterated the position of other officials of OPEC’s heavyweights—it’s too early to discuss it now and a decision whether to further extend the pact will be made in November. The oil market is moving in the right direction towards rebalancing, but all options, including extending the cuts beyond March 2018, are left open, the joint OPEC/non-OPEC committee set up to monitor compliance with the cuts and the state of the oil market said last week. Meanwhile, and regardless of OPEC compliance, anyone who invested in Seadrill in the past couple of months became rich today, with shares up more than 70% at some point during the day. Offshore drilling is the best investment on the market at the moment, with companies like Transocean and Ensco, and as you can see risk is paying already.